The Business Ethics Alliance is a not-for-profit organization dedicated to improving the business ethics environment in the Omaha, Nebraska, metro area.  This organization was formed in 2008 through the cooperative efforts of the Creighton University College of Business, Better Business Bureau, Greater Omaha Chamber of Commerce, and Omaha business community. A resource that the Business Ethics Alliance offers to the community is a series of “Aiming Higher” interviews.  These interviews, conducted by graduate students from Creighton University’s College of Business, feature local business leaders and their insights on the topic of ethics. This interview features a native of Omaha, Richard Holland. As a graduate of Omaha Central High School and Omaha University, now known as the University of Nebraska at Omaha, Mr. Holland continues to be an active contributor to the community. Following his post-secondary education and service in World War II, he joined his father’s advertising agency. Soon thereafter, with other business partners, he formed the Holland Dreves, and Reilly Advertising agency. He retired from the company in 1979. Recently, Mr. Holland helped lead the fundraising efforts to build a performance venue in downtown Omaha. In 2005, the Holland Performing Arts Center was opened. Not only has the venue been praised as a world-class facility, it continues to add to the improving cultural landscape in Omaha. In the following interview, Mr. Holland provides many of his perspectives on ethics. His views, guided by a strong sense of universal moral principles and values for the family structure, transcend time and can serve as a guide for years to come. Mr. Holland views ethics as the way a society defines expected behavior. These behaviors must be considered in the context of their affect on others. Although expectations change from time to time, the rules governing them are very clear and people should know the difference between right and wrong. Moral values exhibited by the Omaha business community. While the values of the local business community are “all over the place,” he feels that Omaha does have a “fairly high standard” of morals. Describe an ethical situation that you have faced in business that was relatively easy to handle. Describe an ethical situation that you have faced in business that was difficult to handle. Examples of ethical people or companies. Without hesitation, Mr. Holland named five individuals: his friend, Warren Buffett, as well as Bill Strauss, Mogens Bay, Robert Daugherty, and John Cavanaugh. “They don’t think about cheating people. They don’t think about fancy ideas that take advantage of other people in a way that is not fair; they don’t think that way. Connection between your upbringing and how you handle ethical situations. There is a definitely a connection between how you are raised and your method of handling ethical situations. “Your ethics come from your parents, and then from the society you live around. Describe the value of ethics in the business. In support of this, it is essential to have a code of ethics and a system to periodically remind the employees of these standards. Correlation between the ethics of politics in Washington, D.C. and the ethics in the business world. In business, “some companies state that when you don’t behave, you are through.” Top management is critical to setting the example and enforcing the standards at the company. Role of accountability in ethics. Simply stated, the universal view of morality that Mr. Holland holds leads to a system of accountability in acting ethically. To him, it is not acceptable to disobey society’s rules on expected behavior. Ethics “today” versus “yesterday,” and how it looks in the future. Although ethical expectations have changed over time, Mr. Holland thinks that the ethical standards are better than ever today, and will continue to improve in the future. Biggest ethical challenges facing younger professionals and tips on handling them. “There are a group of people that do not understand the difference between good and bad. Don’t hang around with people that want to cheat people. A person should have his personal standards. “Lately, for example, business schools have classes in ethics and how to behave as a CEO. It amazes me that they have to have the classes.